The taxi service to the orbiting International Space Station is taking no passengers until further notice. Neither the United States nor Russia will be able to send astronauts to the ISS until investigators determine why a Soyuz rocket failed after blast-off Thursday, complicating an already tricky launch calendar for 2019. The only way to get astronauts from Earth to the ISS since 2011 has been aboard Russian Soyuz rockets. 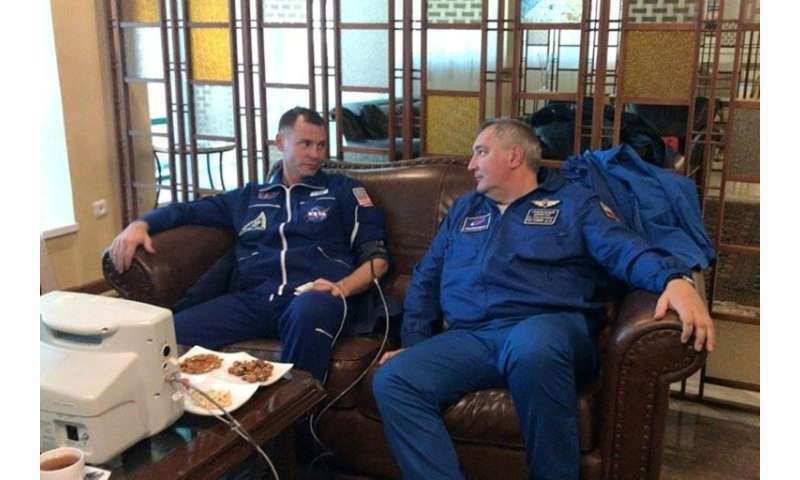 But the Russian space agency Roscosmos has grounded the rockets until a probe concludes into what caused the anomaly which forced US astronaut Nick Hague and Russian cosmonaut Aleksey Ovchinin to make an emergency landing in Kazakhstan. How long could the suspension last? The next Soyuz launch for the ISS was scheduled for December 20, and it is supposed to take a new three-person crew to the Space Station. But it's not clear how long it will be grounded. "If it's two months or six, I really can't speculate on that," International Space Station Operations Integration Manager Kenny Todd told a press briefing. "They're probably going to ground the Soyuz rockets for a while," said Erik Seedhouse, an assistant professor at Embry-Riddle Aeronautical University. Seedhouse, who specializes in applied aviation sciences, estimated that it would last at least "a few months." In 2015 the Progress—an unmanned transport spacecraft that sent supplies to the ISS—had problems similar to those experience Thursday by the Soyuz rocket. However, the Thursday case involves a manned vehicle, "so there's much stricter requirements in investigations," Seedhouse told AFP. The European Space Agency has already acknowledged that the incident will affect the ISS calendar. It is making contingency plans for the three current ISS crew members—German Alexander Gerst, American Serena Aunon-Chancellor, and Russian Sergey Prokopiev, all of whom were scheduled to return to Earth in December—to possibly stay aboard the station longer than expected. One potential problem: the spacecraft that would let the ISS crew return to Earth, which docked at the station in June, is equipped with batteries that lose power after about 200 days, NASA said. That would in theory push the time limit of crew's return to Earth to early January 2019, which is the sole limiting factor, said John Logsdon, head of the Space Policy Institute at The George Washington University. As for food—there is enough for the crew to last several months, as the station is regularly resupplied by unmanned Japanese and American spacecraft. When will the American rockets be ready? NASA mothballed the Space Shuttle program in 2011, and since then has been paying Russia tens of millions of dollars to send astronauts to the ISS. The contract with the Russians ends in late 2019, and the US space agency has deals with two American companies, Boeing and SpaceX, to step in. Elon Musk's SpaceX, who also runs electric carmaker Tesla, will be using its Falcon 9 rockets. Since 2012 SpaceX has launched satellites for NASA, and has carried out 16 resupply missions to the ISS. Sending astronauts to the ISS will be a first for a privately owned company. However, SpaceX's rocket program, just like Boeing's, has run into delays, as is often the case in the aerospace industry. An unmanned Falcon 9 rocket carrying a Dragon capsule is scheduled for launch in January 2019, with a similar manned launch set for June 2019. For Boeing, launches are set for March and August 2019 respectively. What is the risk for NASA? Soyuz's problems are a headache for the United States, which has a policy of having a continuous presence in space. An interruption would be disastrous in terms of image, but also for the research aboard the ISS, as the orbiting station serves as a scientific laboratory. The slightest delay by SpaceX or Boeing could hold up the approval of their manned launch programs. This could mean that the first astronaut they would send to the ISS would depart in 2020 instead of 2019. 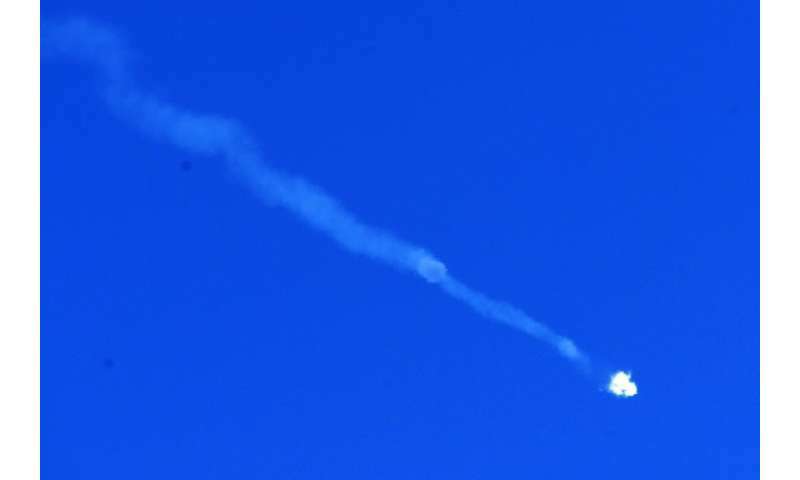 Thursday's Soyuz incident "will put some pressure" on SpaceX and Boeing "to meet their current schedule," Logsdon told AFP.